​iOS changes the color of Dock depending on the background. The background is from black to pure white, but the color gamut of Dock is narrowing from dark gray to pure white. As a result, under the condition that both the background and Dock become bright, iOS can not make a difference in bright color close to white. Dock and background become almost the same color, so the boundary becomes invisible. 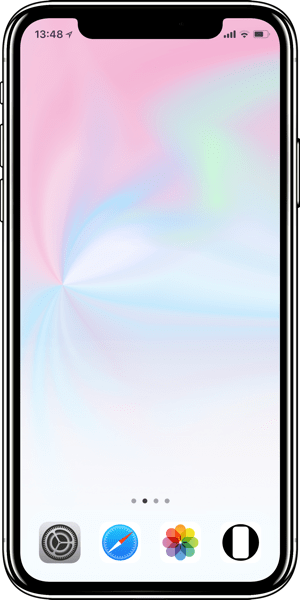 These wallpapers give priority to the composition in normal use on iPhones and does not consider Plus landscape and iPad (it may be usable depending on the setting and iOS version).